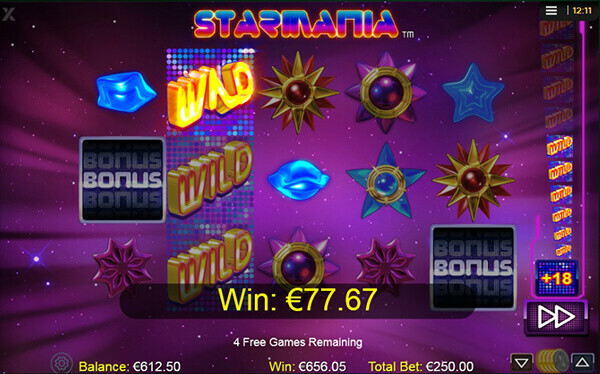 Featuring an outer-space theme, Starmania slot machine is a NextGen release from 2015 and possibly the developer’s response to the iconic Starburst slot launched by NetEnt in 2013. The similarities between the two slot are pretty obvious – both of the games combine the classic gem icons with a modern futuristic background and provide their players with a simple structure, with no complex bonus features. Just like its predecessor, Starmania is played on a 5×3 structure with 10 fixed paylines, but the return to the player percentage gives almost 2% advantage to Starmania. The minimum bet is set at $0.10 on all ten lines and the maximum stake is capped at $500, which makes the slot equally suitable to high rollers and players who have limited means on their disposal. The volatility of the game is somewhere between low and medium, which will definitely fare well with all the players who prefer frequent winnings and lower risk combined with a generous potential payout – and that’s exactly what Starmania is about. All those who hold a personal grudge against NetEnt and Starburst are likely to turn to Starmania – or not. A Catch22-like problem emerges here since everyone who likes Starburst will feel that Starmania is an inferior release and the players who are not fans of Starburst will hardly enjoy playing the slot’s replica. It, therefore, remains unclear who are the key demographics, but we can presume that there will be those out there who are ready to give the game the benefit of the doubt and grow to like it. The high return to player is often the first factor considered by the majority of players and Starmania really makes the grade with 97.87% RTP and the wide betting range. In terms of bonus features, NextGen decided to be a bit more generous and the players can trigger Free Spins with Extra Stacked Wilds. The slot’s Wild symbol lands on the reels 2 – 4 and can replace all other symbols except for the Scatter icon which pays both and triggers 10 extra spins. 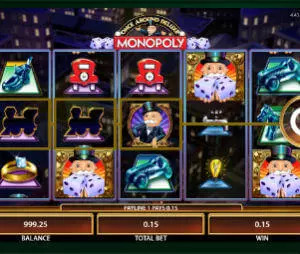 During the Free Games, a Wild icon will appear on reels 2, 3, and 4 before every spin – in total, 30 Wilds will be added while the bonus spins are in progress and if new Scatter icons appear, the feature will re-triggered. NextGen had a misfortune of launching the game two years after Starburst and, by that time, NetEnt’s release had already become immortal. Exploiting the same concept is not a crime but if you are set on doing it, you might as well try and do a better job than your competition instead of creating a replica of an already popular game. In other words, Starmania is not a bad game, but Starburst was the first. The visuals could have been executed better – having in mind that the game was released in 2015, it is surprising that it looks almost ancient in certain aspects. Looking at the bonuses, betting limits and a rather impressive RTP, Starmania definitely has an advantage over Starburst, but many will disregard it due to the lower quality graphics. This is the first mistake that NextGen made since replicating the game with an already established fan base can handicap a slot at the very onset. The second mistake is the somewhat poor visual profile, rated as inadequate, especially when compared to Starburst.